I’ve really come to enjoy my weekly ritual of sitting down on Friday afternoon to reflect on my week for this blog. 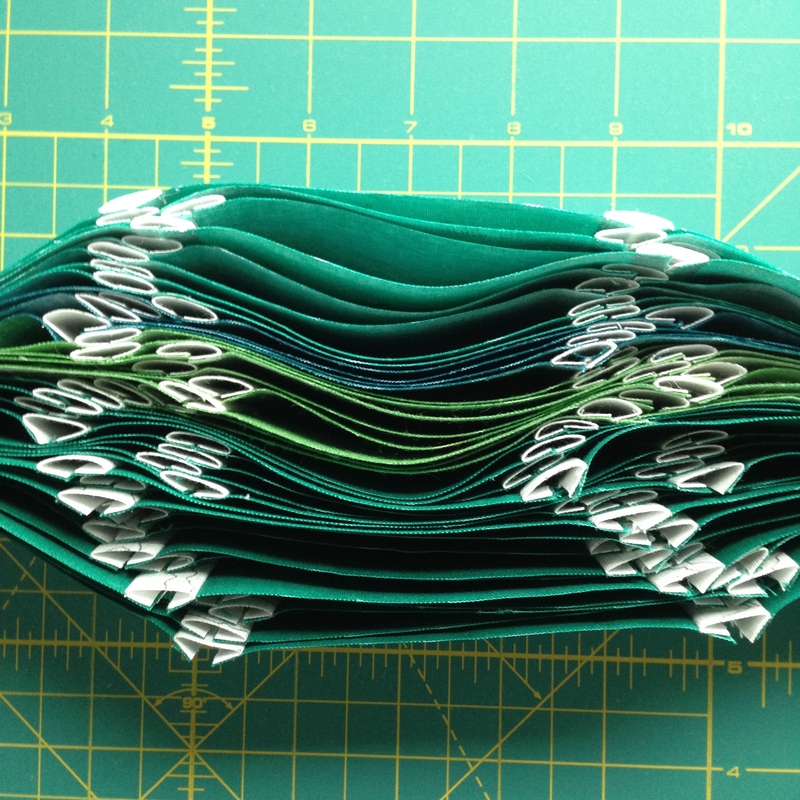 This week was particularly quilting focused, but not in a project-heavy way. After Quiltcon, I had a pretty active teaching schedule. Last Wednesday, my Beginning Quilters brought in their finished quilts. On Monday night, I taught Building Blocks: Flying Geese at Rock Paper Scissors. Check out their beautiful work! I like to post announcements about classes, samples, and student work on my Facebook page. 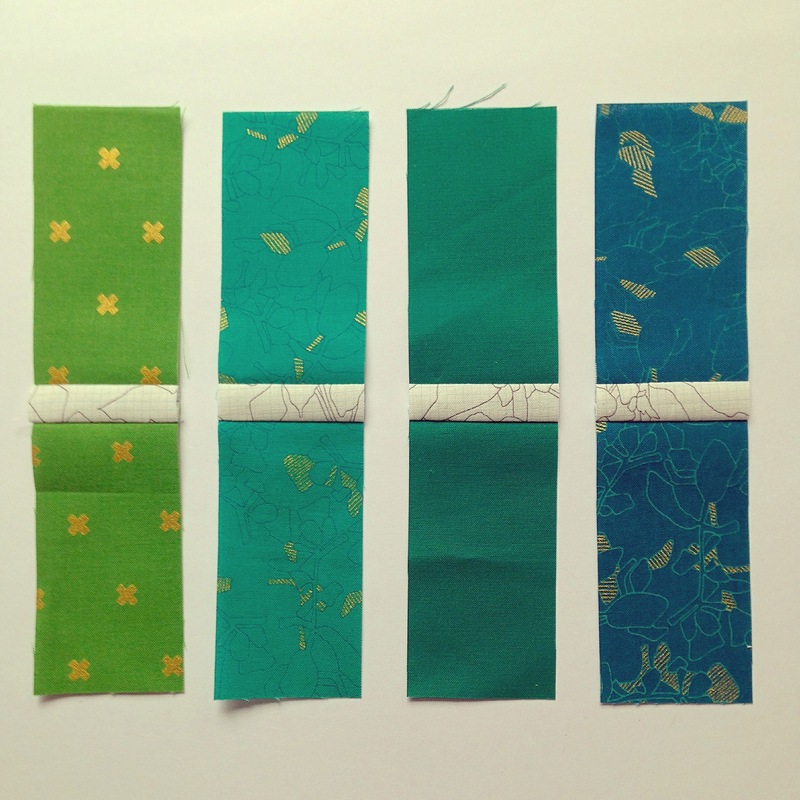 On Wednesday, I had a private lesson with some students who had taken my free motion quilting class months ago. Free motion is something that takes a lot of practice and coordination, so I was happy to give them some special attention to figure out what shapes and speed works for them. We made up some personalized mantras that really smoothed out their curves. After class, I got a sneak peek at the Kona trunk show that is going to be displayed at RPS. It was so special to help Beth unpack the quilts. 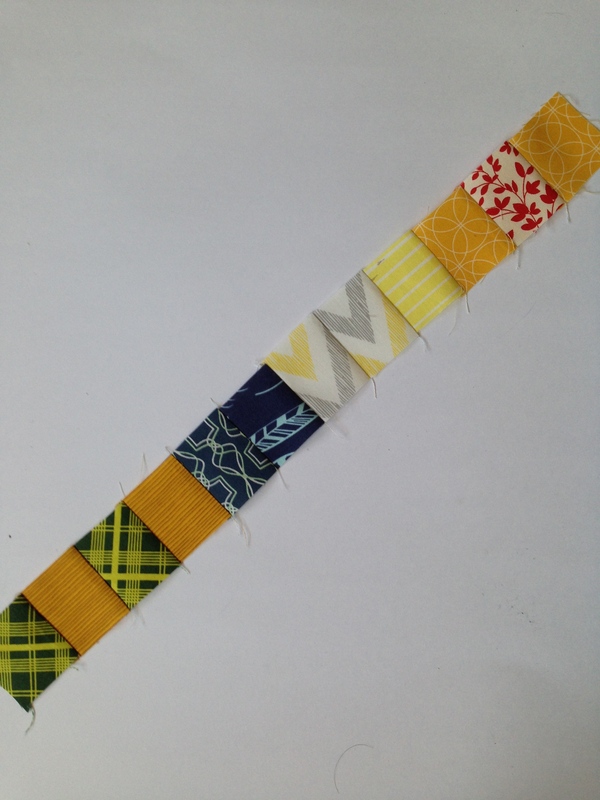 This one is Elizabeth Hartman’s featuring blocks from her book Patchwork City. I paid extra attention to her free motion quilting since it was in my brain– her designs are so small with beautiful texture. Yesterday we had a snow day, and I let the kids watch a movie so that I could make some more progress on the green Peek quilt. We’ve had such a long, cold winter that it feels good to see green somewhere. I should have all of the blocks done by tonight. This is going to be the cover sample for the Peek pattern and classes. It’s been a little delayed with all the snow days we’ve had (how I wish like my teacher friends a snow day meant lots of sewing!). I’m itching for my first big finish of the year– it’s already March! Today, like every Friday, is a day with the four-year-old home from school, and I think that all of my quilting activity has rubbed off on him. He asked to sew a little. It was a lovely little moment with him snuggled on my lap, riding the fabric through the machine, selecting the next square, delighting in pressing the cut threads button. 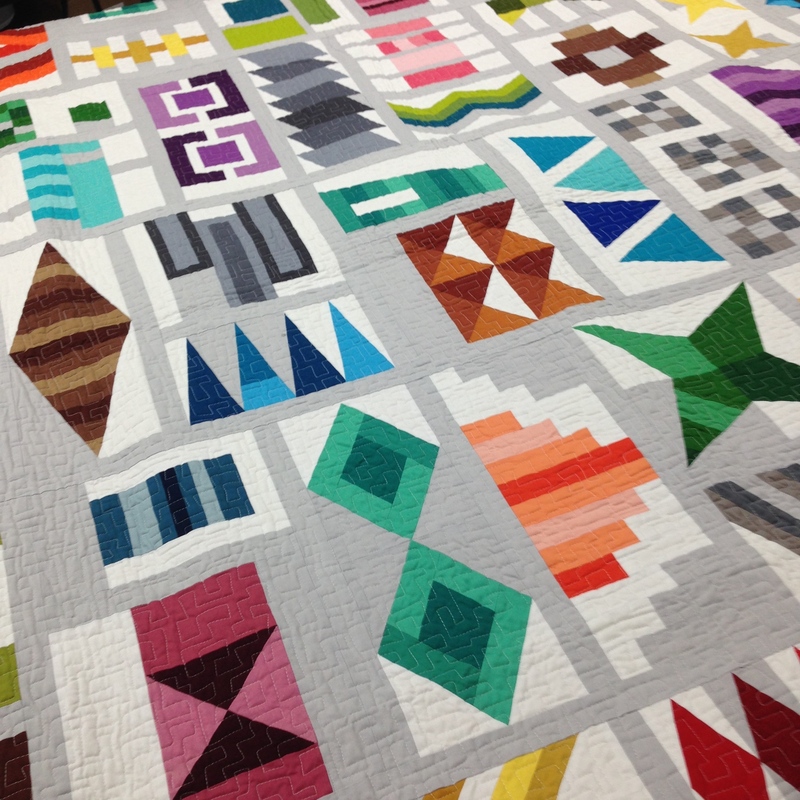 If you’re looking for some quilty reading, two of my friends have written some very lovely and real blog posts about the emotional side of quilting. Ginny writes about how quilting got her through motherhood, and Melissa writes about how she grew to love an imperfect quilt that brought out big feelings for her. I hope to one day write posts so honest and beautiful, and I’m so happy to call them friends. I wish you a happy weekend, as always. How sweet of you to mention me! What a lovely surprise. Sounds like you had a fun week, your students blocks are so stunning…evidence of an amazing teacher! Sounds like a wonderful Friday too me! I have 2 boys (now grown) and they have been along the quilting journey since the beginning. Every year they both loved to design and select fabric for a quilt for their teachers. And who knows– they both a have the artistic gene in very different ways! On a side note-a friend and I will be up that way on the 19th. and we are thinking detouring over to “Rock-Scissors- Paper”. Would you happen to be working or teaching there that day? I can so relate about snow days NOT being sew days around here–more like days spent bundling up the kids, supervising and/or helping in their snow play, dealing with cold related tantrums, taking off all their soggy clothes, washing extra laundry, wiping more noses…etc. Less sewing done on those days for sure! My son is the same way with sewing–he is quilet and still while we sew together (both are a rare event).